Kids have the best dance moves, that’s why we are stealing them! Through the LOOP creative dance workshops young children are given the space to explore and express themselves through movement and music. Professional dancers guide them to use their imaginative powers through dance, and the children’s ideas are adopted by the dancers as part of the LOOP performance. If you are interested in join us on the stage at the performance session as well, please book show tickets via LOOP Performance. NOTE: the workshop will be videoed and parents will be asked to sign permission forms for videoing children's movements. 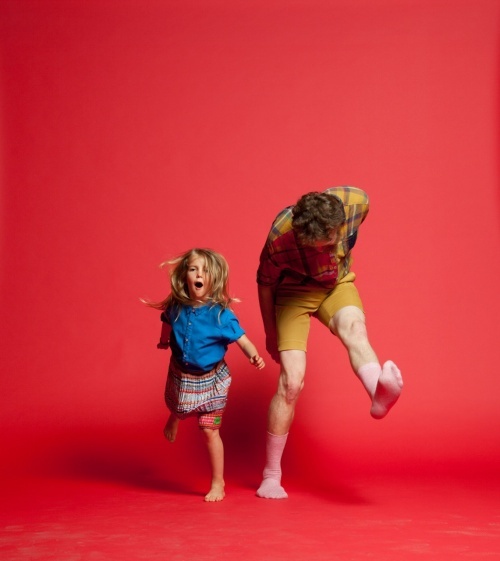 Kids have the best dance moves - that’s why we are stealing them! LOOP is a dance performance with no narrative or characters, just movement, music, rhythm and play. LOOP’s initial impetus (and the very fabric of the work) come from the instinctual physical actions of children, gleaned through a series of creative dance workshops. LOOP is divided into three ‘chapters’, the third of which invites the children onto the dance floor to become part of the performance. The dancers learn movements from children at the previous workshops. If you are interested in attending the free workshops, please book via LOOP Workshop. Please note, parts of the workshops will be videoed, and parents will be required to sign a permission form.